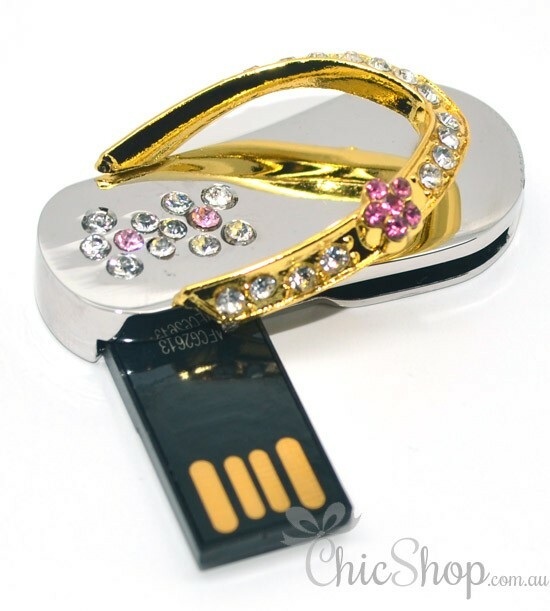 Slipper shaped Designer USB Flash Drive with 8GB of storage. A great looking and well-made, decorated with Rhinestones, Designer USB flash drive. Our USB Flash Drives are made of high quality and durable material, which shows glorious and luxury look. 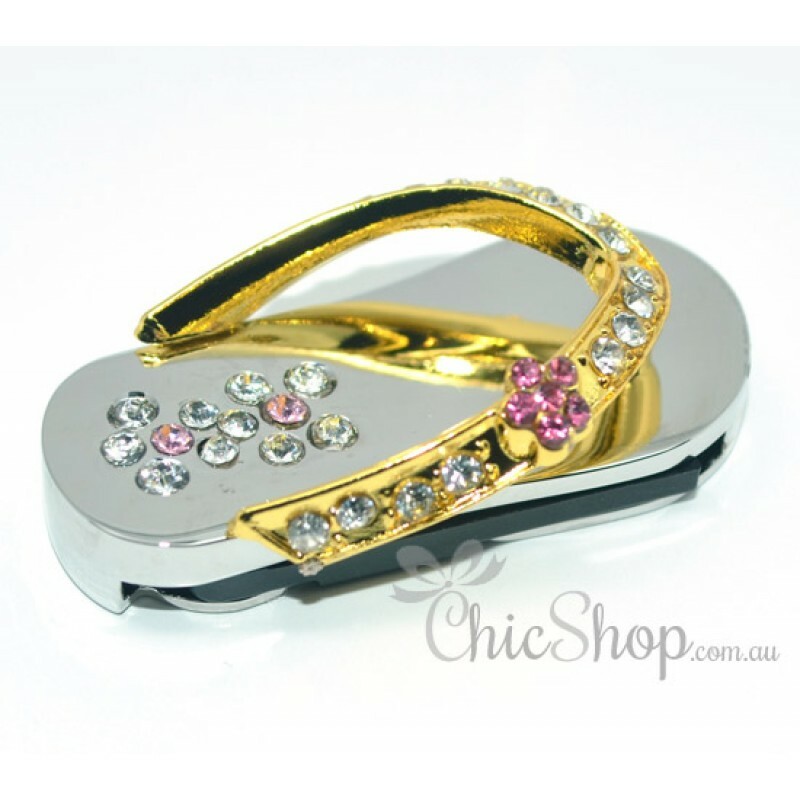 The style of this cute storage deivce is very fashionable and will show your delightful taste. Don’t miss out!